The Eastlake J.V. 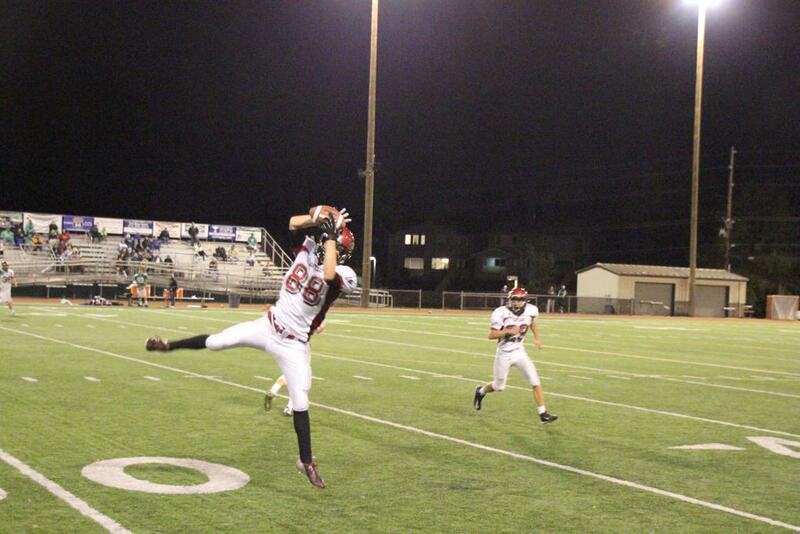 football team fell on Monday to the high flying Woodinville Falcons, 14-24. The loss ends a five game winning streak for the Wolves and puts our record at 5-2. The Eastlake J.V. 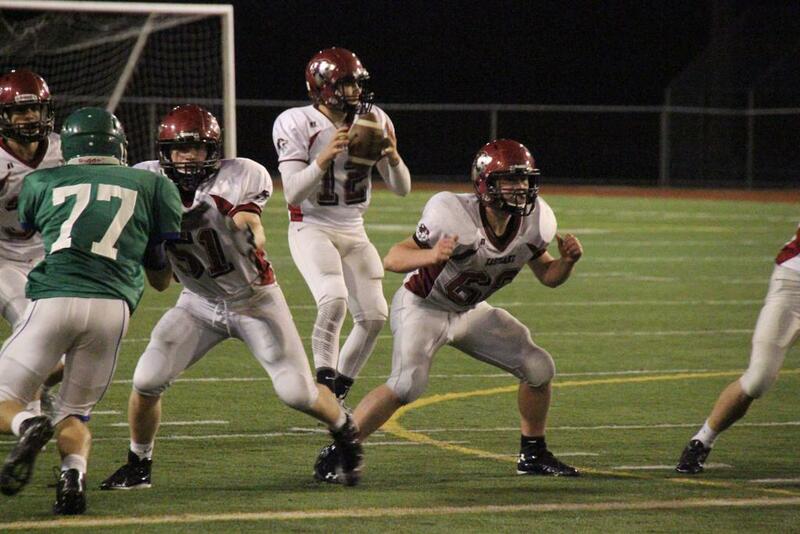 football team fell on Monday to the high flying Woodinville Falcons, 14-24. The loss ends a five game winning streak for the Wolves and puts our record at 5-2. Eastlake struggled with many self-inflicted mistakes throughout the game, and Woodinville made the Wolves pay with long-distance scoring strikes on the field. The game started off looking positive for the Wolves with a solid drive moving the ball from our 35 yard line down to the Falcons 15, ending after failing to convert on fourth down. Most of the remainder of the 1st half was a scoreless struggle between the two teams. 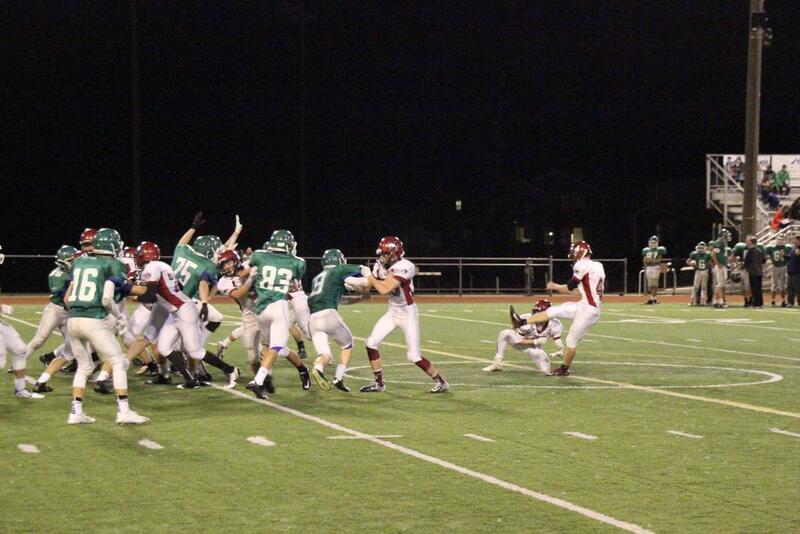 During that time several Eastlake defenders made key contributions to keep Woodinville off the scoreboard. 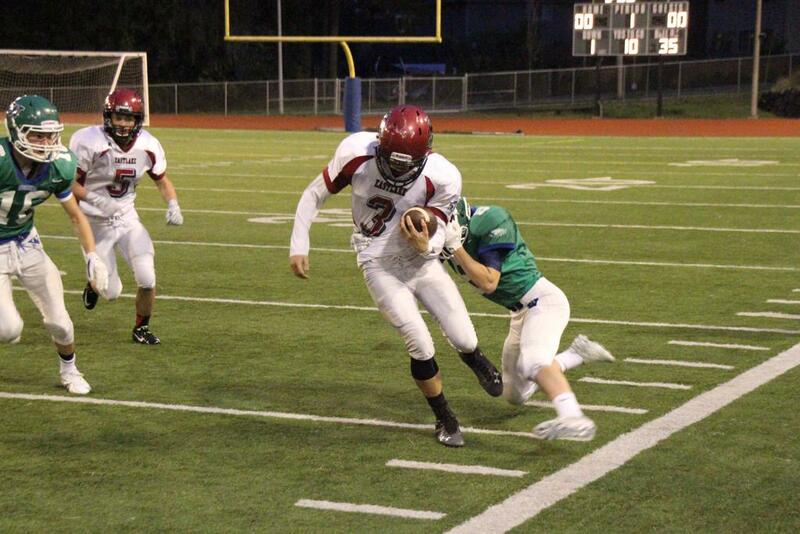 Gabe Brookshier plucked Falcons left and right with four tackles including two bone-crushing sacks that had the Woodinville quarterback playing scared. When Brookshier wasn’t slamming the quarterback, Brandon Stevenson was, with two sacks of his own. Jake Rogers made an interception and Michael Angiuli tallied four big tackles. Unfortunately, one defensive lapse and Woodinville was able to complete a 65 yard touchdown pass with 1:42 left in the half. Eastlake stopped the two point try, and ended the half down 0-6. The Wolves defense put their first points on the board with an interception returned for a 30 yard touchdown by Jaxon Williams. After a successful point after kick by Jack Matheson, Eastlake went up 7-6. Quarterback Connor Brown led the offense on a 70 yard scoring drive, which included a 38 yard pass to Rogers and a 15 yard touchdown run by Jack Hart. Matheson’s kick was good again and the Wolves were on top 14-6. On the ensuing kick Taea’shuan Finley sprinted down the field to make his third great tackle of the game on special teams. But again, the Woodinville offense was able to overcome a sack by Nathan Ross and Avery Bosworth, and a tackle for a loss by Brookshier early in a drive before completing a 66 yard touchdown pass late in the 3rd quarter. 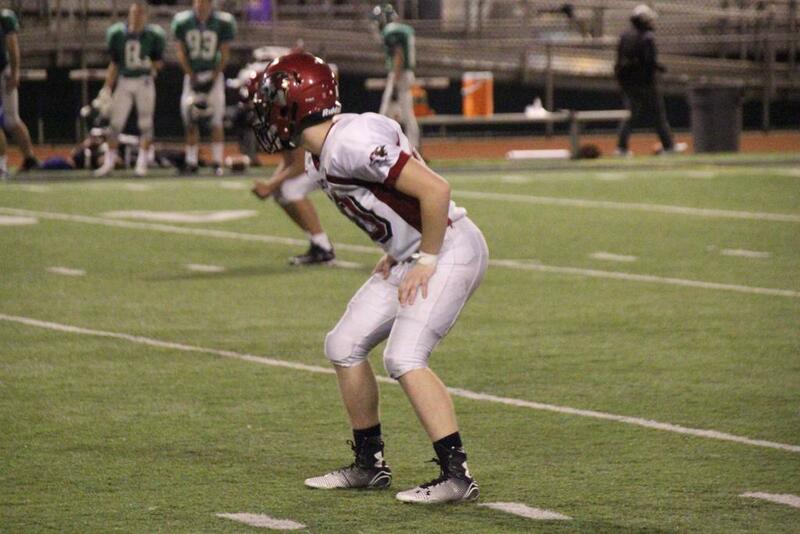 The Falcon two point try failed when Max Gardiner made a huge tackle on the goal line driving the opponent three yards backwards and into the turf. Woodinville had narrowed the gap to 14-12. Near the end of the third quarter the Wolves offense was given the ball at the Falcon 16 yard line after Connor Gray burst through the line and blocked a punt. Woodinville held and the drive ended at the ten. The fourth quarter was disappointing for the Wolves as the Falcons were able to piece together a scoring drive and a long touchdown run while our offense stalled. 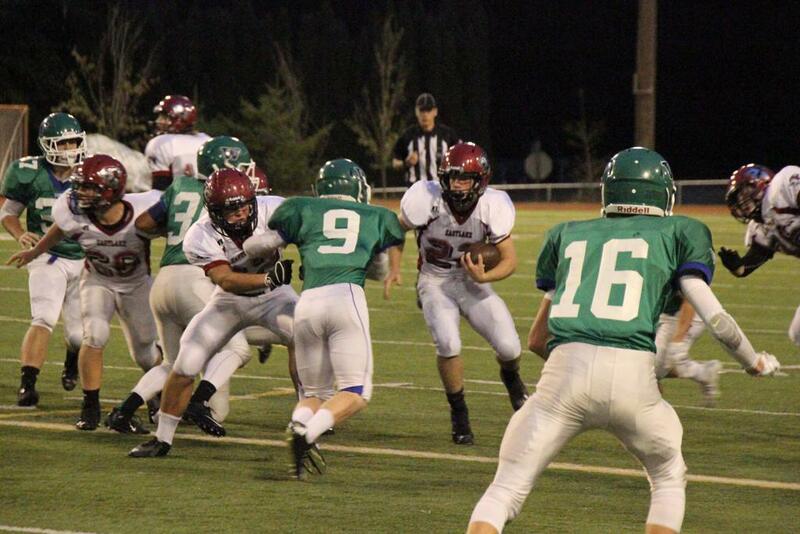 Woodinville beat the Wolves 14-24. Overall the Eastlake defense managed 7 sacks (Brookshier (3), Stevenson (2), Kyle Sihon (1), Ross/Bosworth (1)), 1 fumble recovery by Stevenson, 1 interception each by Matheson and Rogers, a pick-six by Williams and a blocked punt by Gray. 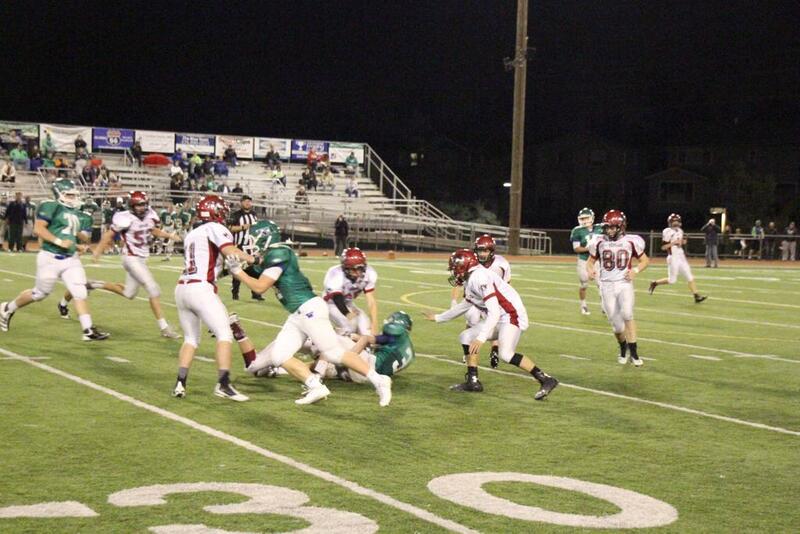 The Wolves offense was unable to recover from 6 fumbles (2 lost), 1 interception and 6 quarterback sacks. Next up for J.V. will be a home game against the Redmond Mustangs on Monday the 26th at 6:00 p.m. The Wolves look to corral the Mustangs vaunted offense.